Farmers and agriculture suppliers will want to attend the Southeast Iowa Agricultural Research Association annual meeting at the Johnson County Extension office in Iowa City on Thursday, March 1, 2018 beginning at 10:00 a.m., according to association president Jeff Ellis. 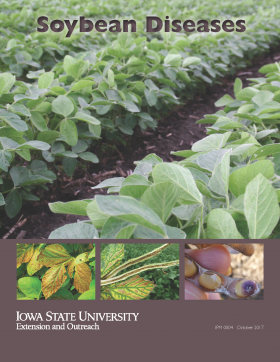 At the recent North Central Weed Science Society annual meeting I was asked to provide the opening presentation (A historical perspective on dicamba) in a symposium focusing on issues with dicamba. Following are the slides and the abstract of my presentation. I’ve received lots of inquiries in the past few weeks about sampling fields for nematodes that feed on corn. Most every Iowa field has one or more different nematode species present at low numbers. But it’s only when numbers are at damaging levels that yield loss will occur. It’s always difficult to forecast weather, but if dry field conditions persist, potential for combine and field fires this fall could be a problem. All it takes is a single high-temperature source in the engine area, or an overheated bearing to ignite dry plant material. As the 2017 growing season winds down, ISU Extension and Outreach field agronomists share how the crops are progressing and finishing out the season in their repressive regions across the state. For the past four years (maybe five) I’ve visited the first three known infestations of Palmer amaranth in western Iowa to track the status of the populations in these fields. Following is a brief summary of my visits to Harrison, Fremont and Page Counties on September 3.